For the fifth year in succession Scott Weightman spent a month at Sri Sumangala School in Weligama teaching Grade 10 and 11 classes studying for their English literature ‘O’ Level examination. He was also invited to repeat these lessons at the nearby Siddhartha School and at Telijjawila Central College. 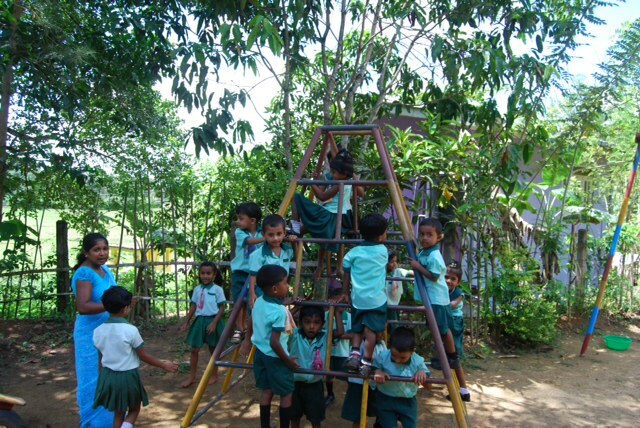 Enjoyable visits were also made to the project’s pre-schools/community centres in Hiththatiya and Vikumgama, and to the Thellula Janapodaya well. At weekends, Scott visited many of the children helped by the project and took part in two ‘western music’ workshops. Towards the end of his stay he visited the Sabaragamuwa University of Sri Lanka to discuss a teaching schedule for his next visit to Sri Lanka.